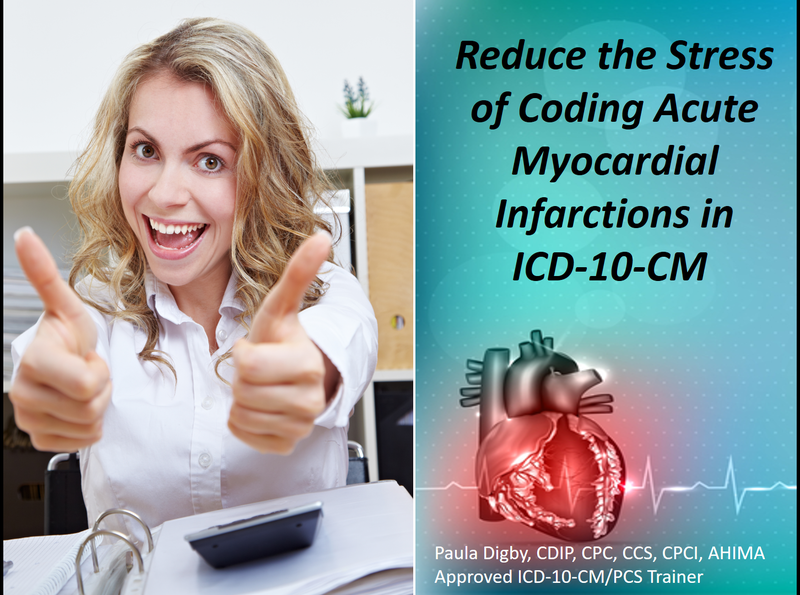 On October 1st, 2017, we were introduced to some new ICD-10 codes for reporting Acute Myocardial Infarctions. Upon first glance they have caused some anxiety and confusion! But don’t have a heart attack just yet – while these new codes seem intimidating they are not as scary as they seem. In this session we are getting to the heart of matter with these new AMI codes in hopes that you can breathe a little easier.